The Joseph H. Lauder Institute for Management & International Studies was founded by brothers Leonard and Ronald Lauder in 1983 in honor of their father, Joseph H. Lauder. 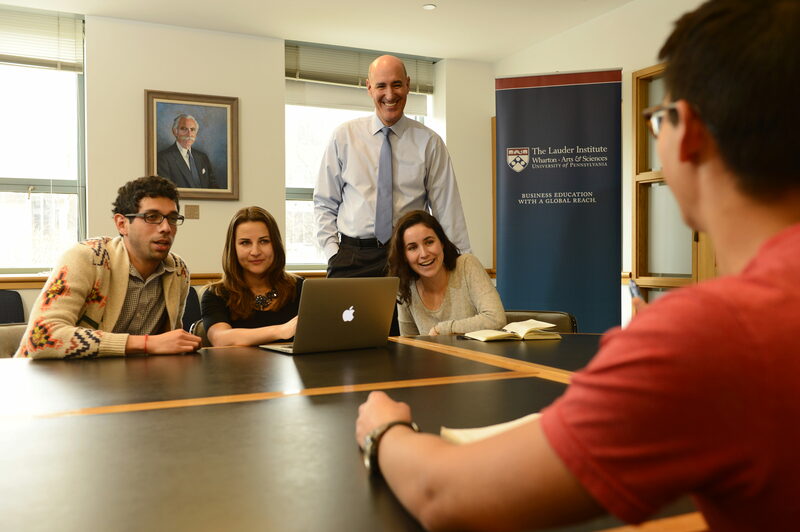 The Lauder Institute provides a fully integrated business education for a new generation of leaders. The Lauder Institute prepares leaders to speak the language of global business, culture, and politics. Fluently. Our students are committed to preparing themselves for a world of specialization, change, and uncertainty. Lauder Institute faculty are not only outstanding teachers but also respected thought leaders whose research and publications sway thinking from academia to the business world. Our rigorous academic program, in which students earn a Master of Arts in International Studies, integrates teaching in tailored arts and sciences coursework with advanced language study and cultural immersion experiences, through our unique JD/MA or MBA/MA joint degree program. Lauder students don’t just study the world from the classroom; they take the classroom to the world. Students begin their Lauder experience each year in May with four weeks on the Philadelphia campus followed by an eight-week summer immersion program in cultures abroad. The Global Knowledge Lab (GKL), a practical, yet analytical, research undertaking, also provides students with the opportunity to develop and merge their language, managerial, and cultural skills during travel to multiple global regions. Learn more about how to become part of the Lauder Institute future.